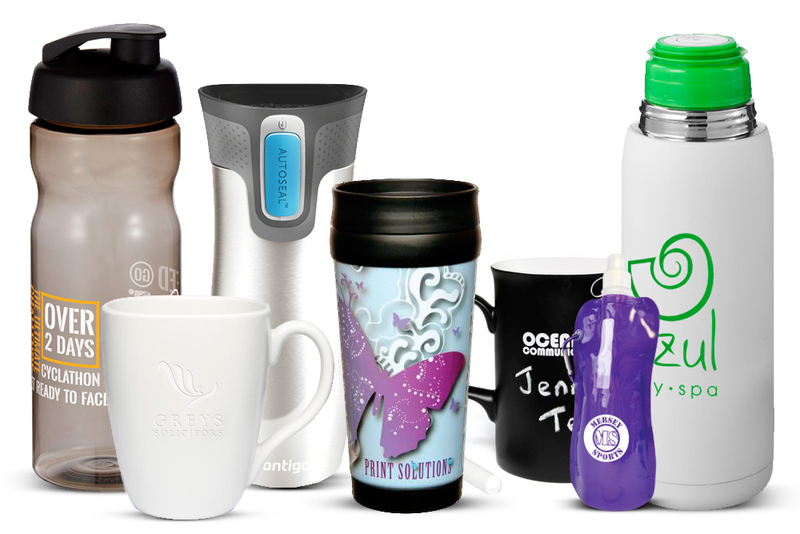 Mugs and drinkware are a fantastic tool to carry your brand due to their regular use. With mugs sat on desks and used on a daily basis, they are an ideal product to ensure that your branding is in front of your customers all the time. With coffee on the go now a popular choice for many and sports bottles a great giveaway for many keeping active, branded mugs, bottles and flasks are a good choice of gift as they are useful and so offer really good brand exposure and value for money.